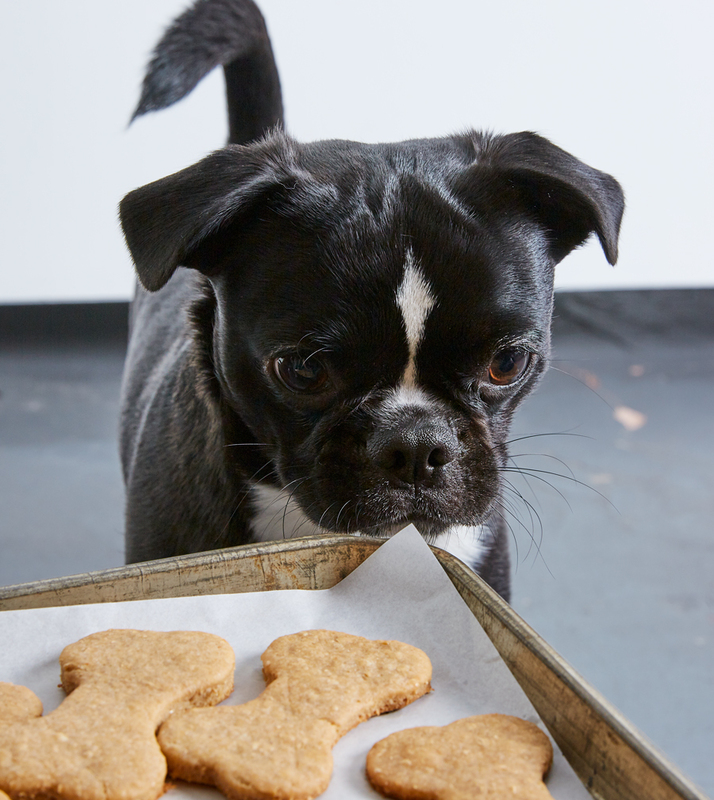 Show your pup some love by whipping up a batch of these healthy treats. Sift flour into a bowl and add peanut butter, applesauce and stock. Stir to combine then press into a ball. Sprinkle a little extra flour onto a clean bench, then roll out dough. The kids can cut out shapes with the cookie cutter and place onto the baking tray. Bake for 18 mins or until golden. Allow to cool before giving one to your furry friend. Place in an airtight container to store.